Having the ‘mid week’ blues? 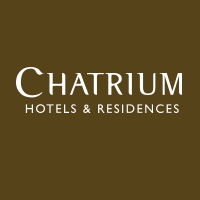 At Chatrium Residence Sathon, we have the right solution for you – an end of day escapade from routine. Observe the banners below. Tuesday is Japanese selection. Wednesday is Thai cuisine and Thursday is Mediterranean fare. End each evening with a cup of tea, some wine or for a taste of difference, try the Estrella Damm Inedit. Hard to pronounce yes, but THIS is premium beer. All these and more at Chatrium Residence Sathon, on Naradhiwas Soi 24 (BRT Thanon Chan stop/only three stations away from the heart of Sathorn).